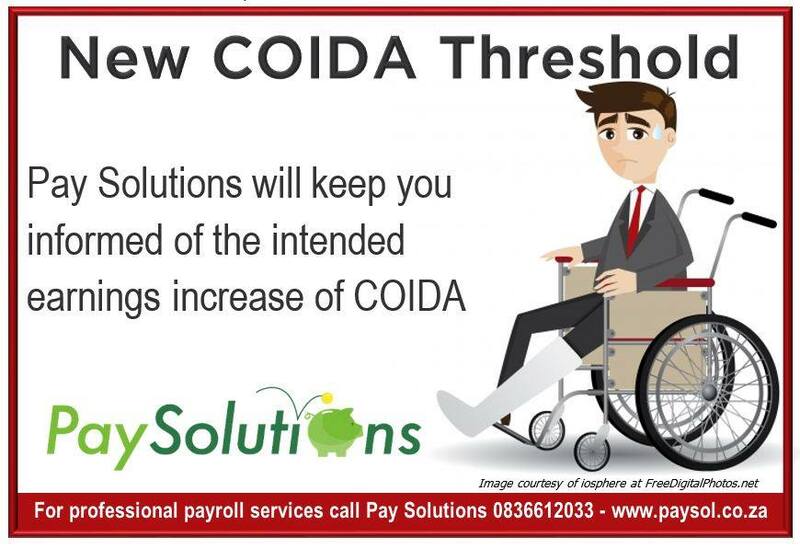 COIDA Threshold Increase has been announced, Pay Solutions keeping their clients informed of any changes to legislation and ‘hot off the press news’ at all times, find out about the latest changes to the Compensation for Occupational Injuries and Diseases Act, 1993 (Act No. 130 of 1993) as outlined below which Employers need to know. It has been announced by The Hon. Minister of Labour, NM Oliphant on 12 February 2016 in a Government Gazette (39683) that she intends to increase the amount of earnings under Section 83 (8) of the Compensation for Occupational Injuries and Diseases Act, 1993 (Act No. 130 of 1993). The Maximum amount of earnings for COIDA Threshold Increase will increase from R355 752 to R377 097 per annum with effect from 01 April 2016.